Having come hard out of the gates with a 2-0 record thus far in the Women’s Premier League, the Glendale Merlins will face arguably their toughest challenge yet of their inaugural campaign, travelling to face reigning league and National champion San Diego Surfers this Saturday. Playing as the Glendale Raptors last season, Glendale lost 26-16 to San Diego in the WPL Final. The two sides also split the regular season series last season, with each team taking home victory on their respective home grounds. With the two teams neck and neck in terms of overall quality, Chobot stressed the importance for the Merlins to put forth a complete effort in different areas of the pitch. Chobot is one of several Merlins players with international caps. But like Glendale, the Surfers also have several players with USA Eagles experience. After two games, however, Glendale is starting to form a solid impression of who the Merlins are. The team is once again expecting big things from the multi-talented Allie Hale, who put in a Player of the Match performance last weekend in Glendale’s 20-6 win over Chicago North Shore. Regardless of outcome, another match between two of the most successful women’s rugby programs in the country will prove to excite once more. Elsewhere, the Glendale Merlins Men’s and Women’s D1 teams will participate in the 50th Annual Aspen Ruggerfest in Aspen, Colorado. Ruggerfest, a long-time favorite of amateur rugby teams across the country, may prove a challenge for Glendale Merlins Men’s Director of Rugby Development Luke Gross, whose D2 team lost to the Denver Barbarians at Infinity Park 24-36 on September 9. In the past ten years, the Denver Barbarians have won Ruggerfest three times; Glendale only once in 2014. 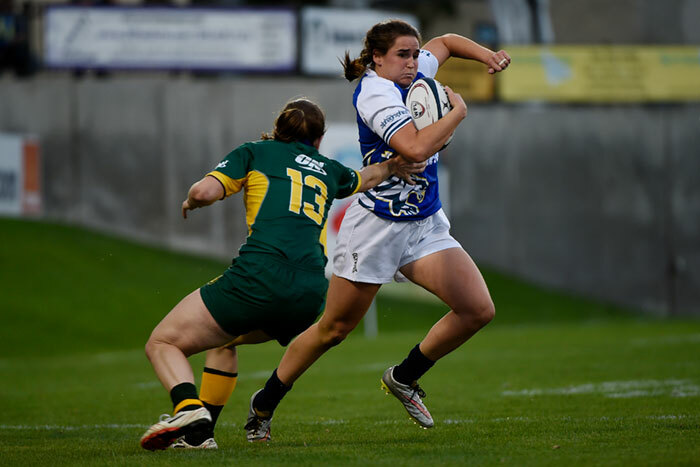 The Women’s team will be led by Division I head coach Jon Mooney and will face off against some familiar opponents in the Women’s division at Aspen Ruggerfest including the boulder Babes and the Lady Vipers. The Men’s U20 team led by head coach David Synnott will travel to Albuquerque to match up against the University of New Mexico. Thus far, the U20s have two wins under their belt with a 114-0 win over Air Force Academy on September 2 and an 82-10 win over Regis University on September 9 at Infinity Park. Looking ahead, the Merlins family of teams will play at Infinity Park in Glendale, Colorado on September 23.